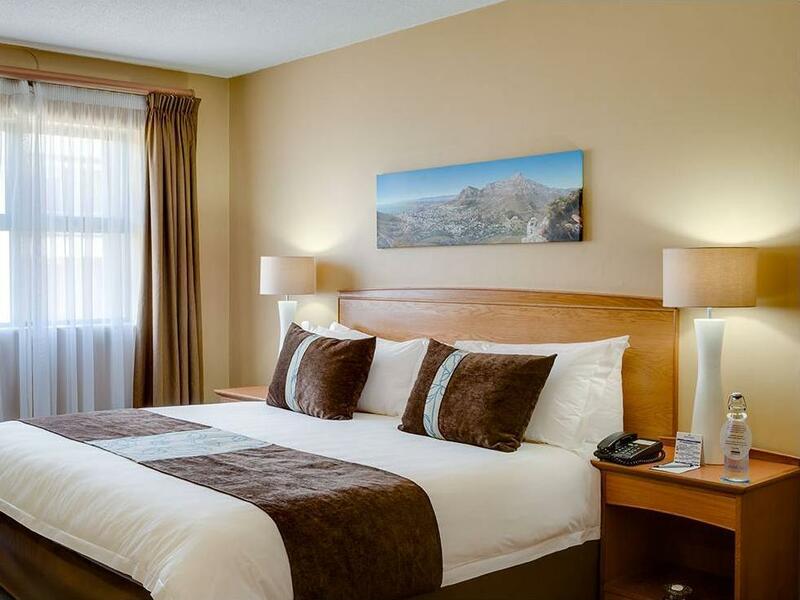 Ada soalan mengenai Protea Hotel Cape Town Tyger Valley? 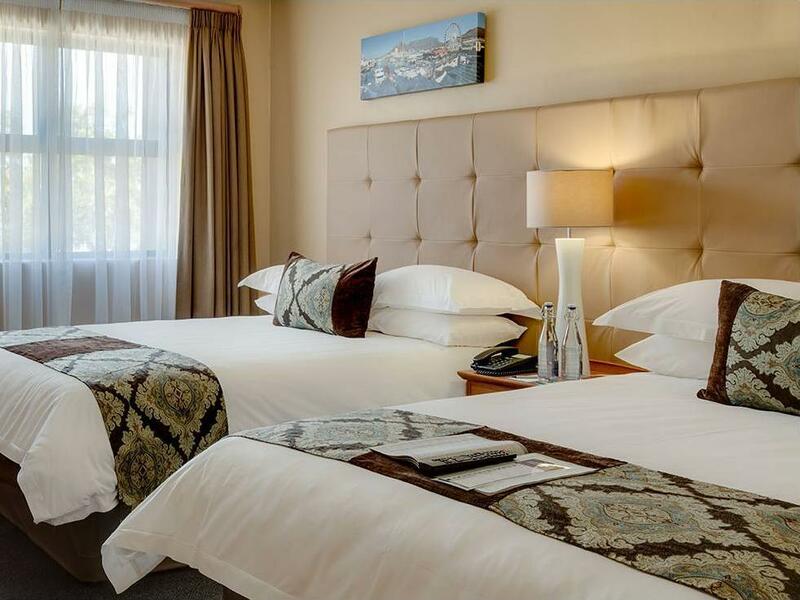 Bagi para pelawat yang ingin menikmati sepenuhnya pengalaman di Cape Town, Protea Hotel Tyger Valley merupakan pilihan tepat. Hanya 15.0 km dari pusat bandar, lokasi strategik hotel memastikan tetamu boleh ke mana-mana sahaja dengan cepat dan mudah ke tempat-tempat tarikan. Bagi anda yang ingin pergi agak jauh, Hutan Simpan Tygerberg, Klinik Medi Panorama, Bellville Velodrome merupakan beberapa daya tarikan untuk pelawat. Perkhidmatan hotel kelas pertama dan kemudahan yang menentukan pengalaman Marriott menanti anda di Protea Hotel Tyger Valley. Kemudahan utama hotel termasuklah khidmat bilik 24 jam, Wi-Fi percuma semua bilik, pengawal keselamatan 24 jam, pendiang api, mesra kerusi roda. Semua penginapan bagi tetamu menawarkan kemudahan yang difikirkan dengan teliti bagi memastikan rasa selesa yang sukar ditandingi. Kemudahan rekreasi hotel, yang termasuk seperti kolam renang terbuka, taman direka untuk anda melarikan diri dari masalah dan bersantai. Apa juga tujuan lawatan, Protea Hotel Tyger Valley merupakan pilihan yang terbaik bagi penginapan anda di Cape Town. I enjoy their friendly dedicated staff. It is very clean, their hospitality is wonderful. I had a great time and always enjoy staying with them. Not too much wrong with the stay. The hotel bathrooms are in serious need for an upgrade. The shower over the bath is not really acceptable and the sticky shower curtain was not nice at all. For the price level of this hotel it is not acceptable. A very average hotel with not really special. Still comfortable and clean. For the price range I think you can get more in a better location. Room cleanliness, friendly staff, comfortable beds. We were a family of four and had two rooms next to eachother.Check-in was quick and handled well by the friendly staff. The rooms were not big but was adequate for our needs. The bed was very comforatble and we had a good nights sllep, both nights. We stayed there before, as a family and will go back again in future. 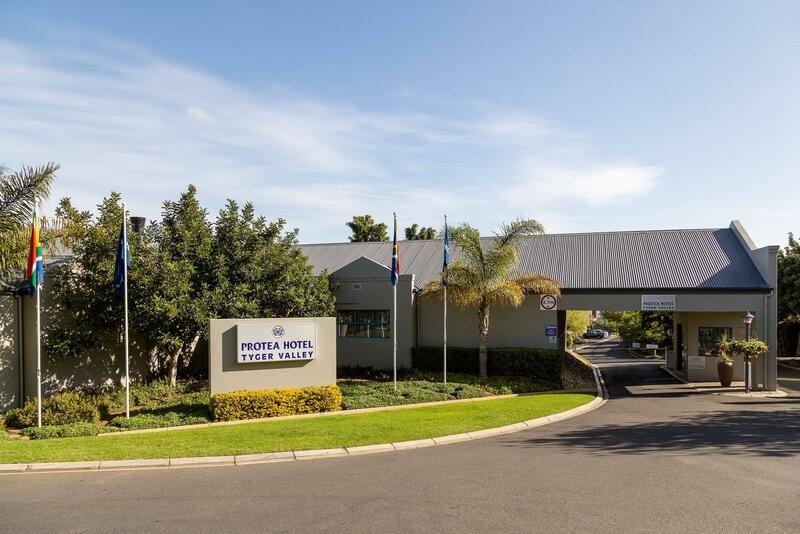 The Protea Hotel Tyger Valley is a very convenient hotel. it is about 10kms from the airport. The reception desk went out of their way to arrange transfers at very odd times. I would definitely stay here again, should i need to be close to the airport. Nice and friendly staff, always willing to assist. Rooms are nice and clean. Most amazing view of cape town! Easy check-in thanks to Agoda! Friendly staff, efficient service! Great location, rooms are clean and neat. Staff is friendly. Had a lovely stay, although the one beside globe wasnt working, the sheet had two small holes in, and the carpet looks in need of a cleaning, otherwise was great. Restaurant quite pricey. Nice view in the evenings. Rooms a bit old need revamping. Very noisy with the N1 right next to it. Breakfast @ is to expensive. Easy to get to Airport. Nice small cosy Hotel close to highway . Very relaxed friendly atmosfeer.Food was nice. The room for paraplegics was nice. I just find the entrance way for wheel chairs was a bit slippery . Not a place to enjoy a reasonable dinner. Pleasant reception. The service I received was great from the front desk, the service from the room service staff was excellent.Very friendly and helpful. although I had a wonderful stay, but the hotel does not cater for diabetics and Halaal foods for muslims. Clean & comfortable. Staff were friendly & helpful. It would have been nice to have some drawer space in the room. There was not 1 drawer. It was very good having a safe in the room which did not have to be paid for. We were charged for parking the car on a daily rate which surpised us but it was not all that much. Also we were taken aback by the price of a continental breakfast which was only 10 rand (less than £1) less than a full beakfast. Breakfast was relatively expensive by South African prices.